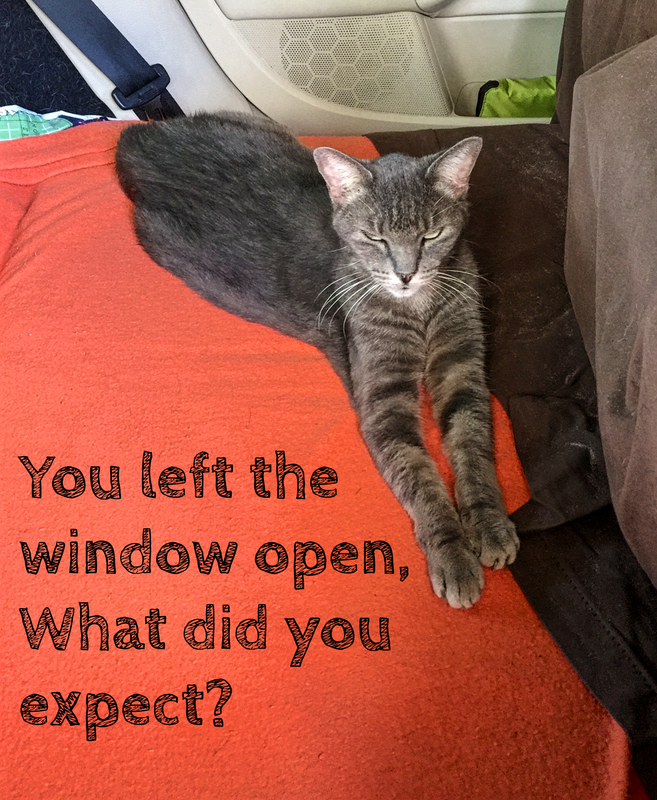 I did leave the window open, as it is quite temperate today and I have long needed to air out the car. Since the hurricane has passed, our weather has been very clear, as that goes once a hurricane passes by. It takes all the hot air and humidity with it when it leaves, so it’s clear and a bit breezy and not as humid, so it feels more temperate. Clean up yesterday was not too bad, I have a small pile of yard waste that needs to go but that is it. And my backyard is pretty filled in and green. It’s amazing what a lot of water will do for grass, right? We’ll see how long that lasts. Other than that, we are relaxing. I did finish all the small handbags (shown right), and I made some more wristlet key chains out of some of the leftover material. You know you can find wristlet key chains on my etsy site in a variety of styles and colors. I even made some out of yoga mat material. I really like the handbag material, I wish I could find more. Since I found it at a thrift store, it’s not like I can go back there and buy more, I’ll just have to hope that I stumble upon it again. Such pretty complementary colors!